Gabrielle was born in Brisbane and began piano lessons at the age of 5 and violin at age 6. During her secondary years at All Hallows’ School, Gabrielle continued to play the violin in the orchestra but concentrated on her piano studies, gaining three performance diplomas. In 1958 she won the Trinity College Silver Medal for her LTCL result, as well as the prize for Musical Knowledge in the Diploma Division. After one year as a primary teacher trainee at the Queensland Teachers’ College, Gabrielle was selected to be in the first group of students who would graduate as Music specialists for the Qld Secondary Schools. Gabrielle taught in Brisbane, the Gold Coast, Armidale NSW and Townsville, and in 1971 was appointed to the staff of the Townsville Teachers’ College, which became the Townsville CAE then James Cook University. There she was a Lecturer and Senior Lecturer in Music Education, before moving to Toowoomba in 1985 to the Darling Downs Institute of Advanced Education / University of Southern Queensland. In 1988 Gabrielle taught at the Wuhan Conservatorium in China for a month, in an exchange between USQ and Wuhan. She resigned from full-time work in 1992, moved back to Brisbane, worked initially as a freelance presenter of in-service courses throughout the State, then taught part-time (music and general subjects) in numerous schools until 2006. 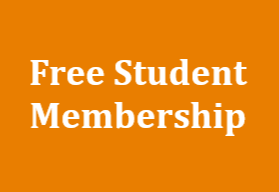 From the start of her career Gabrielle had a special interest in continuing education, her own and others, so became involved in various professional organisations which provided teachers with much-needed support and knowledge. 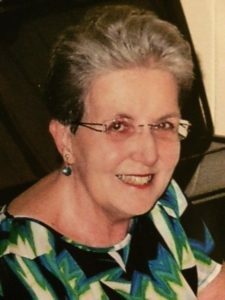 In 1964 she was Foundation Secretary of the Qld Secondary Schools’ Music Teachers’ Association which pioneered vacation schools for Qld classroom music teachers as well as performance opportunities for students. Later, as Foundation Secretary of the North Qld branch of ASME, Gabrielle arranged for ASME and the Townsville CAE to co-sponsor visits by distinguished music educators (Deanna Hoermann, Kati Forrai, Kati Losonczy, Rodney Eichenberger, Christoph Maubach and many others) who brought in-service opportunities to teachers throughout the region. In 1971 Gabrielle was introduced to the Kodaly concept through Ersebet Szonyi’s articles in the ASME journals. 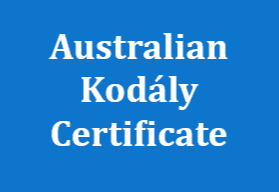 Impressed, she explored this approach further, and in 1974 joined the Kodaly Music Association which had been formed in Sydney and later became KMEIA. A turning point in Gabrielle’s teaching was when she went to Sydney in 1978 to see, first hand, the implementation of the Developmental Music Programme being pioneered by Deanna Hoermann, and in 1979 to attend the International Kodaly Society Symposium. Gabrielle then went to all the National Kodaly Summer Schools to learn from outstanding overseas exponents such as Peter Erdei, Margaret Holden, Kati Forrai, Sean Diebler, Mary Goetze, Miklos Takacs, Gabriella Thesz and Kati Losonczy. These Summer Schools were the training programmes for the vast majority of teachers interested in the Kodaly approach, and also provided an invaluable network of like-minded people. On behalf of KMEIA’s national body, Gabrielle presented Music for Children Classes in Townsville in 1979. After moving to Toowoomba she joined the KMEIA Qld Branch, and from 1987 to 2005 served on both the Queensland Committee and the National Council, including terms as Vice-President and Editor of the KMEIA Bulletin. Gabrielle was a regular speaker at KMEIA events and presented at many courses which promoted the Kodaly approach. She also wrote a number of articles for both the Qld newsletter and the KMEIA Bulletin. She was a long-term member of IKS. When Gabrielle was studying at Holy Names College in California in 1980-81 the faculty included Maria Katanics, Helga Szabo, Lois Choksy, Ivy Rawlins and Ed Bolkovac. Another highlight in her career was to study in Hungary for three months in 1990, taking private musicianship lessons with Lilla Gabor and classes for international students (methodology with Ildiko Herboly and conducting with Istvan Parkai) at the Liszt Academy of Music. 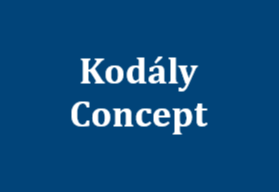 Having had the privilege of meeting and studying with such excellent Kodaly educators, some of whom were Zoltan Kodaly’s pupils, Gabrielle became a strong advocate for maintaining the true essence of the Kodaly philosophy while adapting the methodology for the local situation. She remains committed to assisting teachers, especially beginning teachers, and to supporting KMEIA in its important work.